“Earlier today, I was informed that an inaccurate statement was posted on social media, apparently by a guidance employee at South Shore Vocational Technical High School, indicating that the Rockland Public Schools were no longer allowing the regional vocational school to interview its 8th grade students. “Were this statement true, it would be a significant controversy and run contrary to our values and mission as a school district. To clarify, the Rockland Public Schools as a district has a very positive working relationship with South Shore Tech, and we greatly value that relationship and partnership. The number of issues competing for our students’ attention during the school day is constantly increasing. Classroom time is vital, and we must be judicious about how often we pull students out of class. “With that in mind, a number of opportunities, including interviews with vocational, private, charter, and other high schools are still being conducted at the John W. Rogers Middle School, as always. However the interviews are being scheduled immediately after the conclusion of the school day. We encourage all students to explore all educational opportunities, but we are mindful of the requirements of the school day on a modern eighth grader. As a result, interviews are being conducted after school. 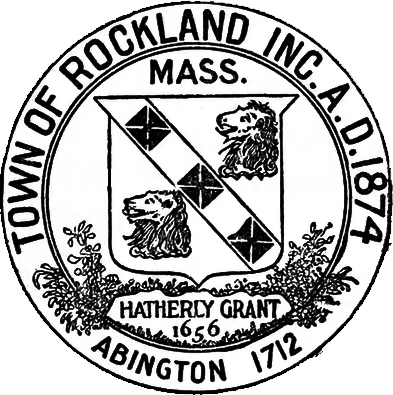 “The Rockland Public Schools offers equal access and time for all secondary school options, including Rockland High School, South Shore Tech, charter schools, private schools and other vocational programs. Every school has equal access to 8th graders so that they may choose the best option with their families. HAVERHILL — Superintendent Maureen Lynch is pleased to announce that Gov. Charlie Baker attended the opening of Whittier Tech’s new Machine Technology shop last week. Over the last six months, the shop has undergone a $495,000 redesign, made possible by an award from the competitive Massachusetts Skills Capital Grant Program. Grant allocations are given to vocational schools to increase the capacity and quality of training and education. On Thursday, Sept. 14, at 10:30 a.m., 1,300 students gathered in the school’s auditorium to give Gov. Baker the Wildcat welcome prior to the unveiling of the new 6,868-square foot shop. The newly revamped machine tech shop is designed to look like a modern manufacturing facility with new flooring, ceiling, lighting and 23 new machines. Following a the school-wide welcome and thank you, Gov. Baker, school officials and the 24 machine tech students headed downstairs to the shop for a ribbon cutting ceremony. Superintendent Lynch opened the ceremony, thanking Gov. Baker and his team for giving Whittier the resources to revamp the shop. Gov. Baker stated that with 21st century equipment, the machine tech program becomes all the more appealing to students, who will have the needed skills to enter the field following graduation. Whittier’s Machine Technology program works with students on technical machine shop theory, knowledge and the use of lathes, saws, vertical and horizontal milling machines, and surface and cylindrical grinders to manufacture products and master precision machines. The shop’s new machines are equipped with the latest computer-driven Computer Numerical Control (CNC) components, which allow students to better convert computer-aided designs into numbers that are then graphed to control the movement of the cutter. Students can even receive texts from WiFi-enabled machines once a task is completed. Several other groups of students will also benefit from the new shop, including those at Northern Essex Community College enrolled in machining courses, those in Whittier’s night school courses and those who are taking job training classes offered by the ValleyWorks Career Center run by the Merrimack Valley Workforce Investment Board.